The proper stabilisation of a wine is a characteristic that is immediately perceived by consumers tasting the product. Potassium and tartaric acid are substances naturally contained in grapes, where they are found in a distinctly separate form. But with crushing, they come together in the must in conditions ofoversaturation. 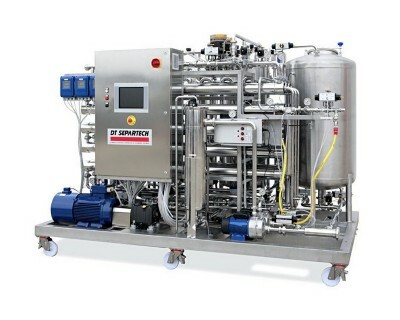 The resulting wine is consequently bound to be liable to an evident precipitation of potassium bitartrate (KHT) salts because not even the action of the yeast enables their substantial reduction during the fermentation stage. 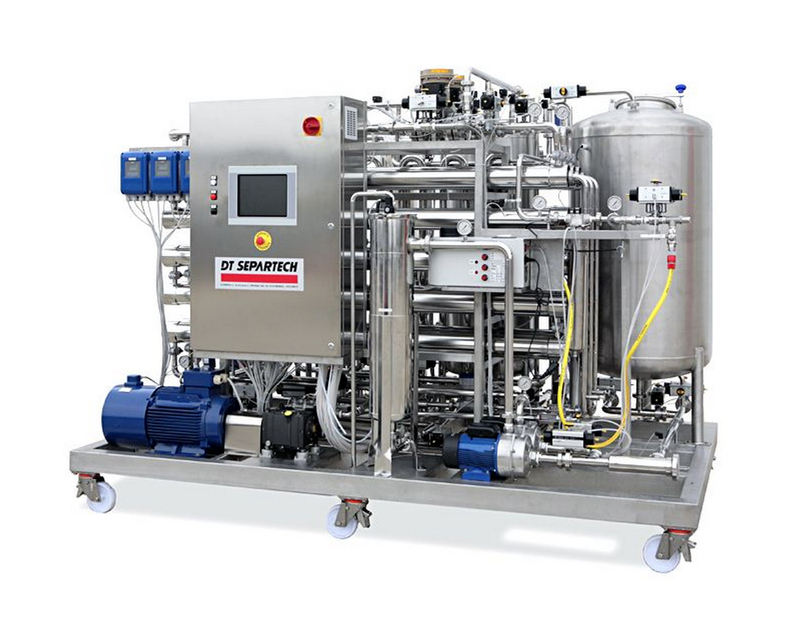 One of the conventional methods for solving the problem consists in stabilization with the abatement by sedimentation and the effect of cooling, and subsequent filtering through cartridges before bottling. DT Separtech proposes a novel system, however, based on separation by means of wrapped spiral polymer membranes. Using this method, there is a rapid oversaturation of both the potassium and the tartaric acid, triggering a nucleation of the crystalline germs followed by an increase in th crystals’ size. These crystals are then removed during the filtering of the wine with latest-generation, 3-micron filters. The resulting concentrated wine is free of tartrates, and can then be suitably mixed with the permeate before its final storage in the tank. An economically advantageous treatment, given the low energy consumption involved (which is never more than 20 kW), and the easy automated management of the whole cycle. The sensory characteristics of the wines being treated, be they white, red or rosé, are always carefully respected.